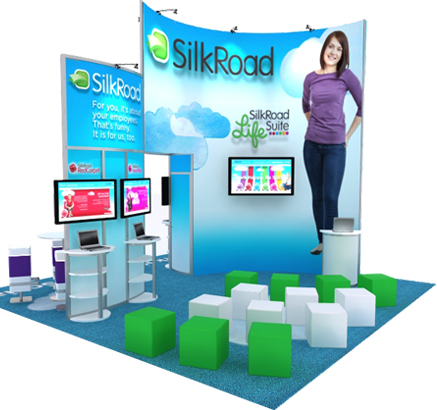 We provide a complete range of trade show display rentals and services that enable you to exhibit in a cost-effective manner. Our extensive rental inventory can accommodate a vast array of design solutions. Tabletop displays to custom full size island exhibits are available. Our custom modular rentals are ideal for larger projects where the exhibit needs to meet special and specific marketing objectives anywhere in the U.S. or internationally. Our designers can create a "custom" rental to fit your exact needs. Our Global Rentals and Services program includes the rental of exhibit and display systems, installation and dismantlement, transportation, and complete turnkey show management. Your rental can be shipped from any one of our Global Service partners throughout the world. These services are available for shows in Europe, North and South America, Asia and Australia.